I thought I'd share one of our favorite recipes with you today. 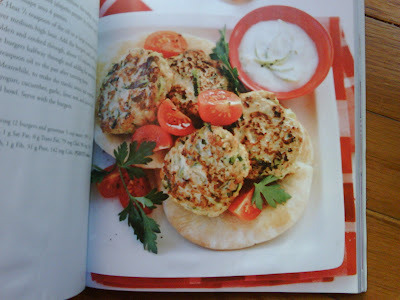 Turkey Burgers with Tzatziki sauce. 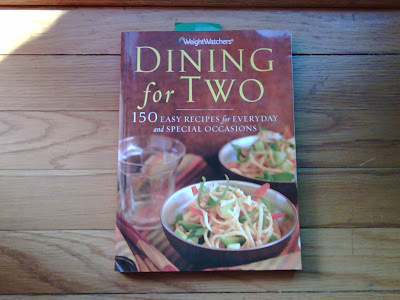 This is from the Weight Watcher cookbook "Dining for Two" which has some really fantastic recipes. I first tried this recipe a few years ago and it quickly became one of our favorites and a menu staple. It's pretty quick to make, low in fat/calories/sodium, high in calcium and incredibly tasty. We serve the burgers crumbled up and stuffed into toasted whole wheat pita pockets, with spinach leaves, sliced tomatoes and cucumbers, topped with tzatziki. Tzatziki is a Greek yogurt sauce, usually served with gyros, and perfect as a cool element in this spicy recipe. I recommend using Greek yogurt for this recipe, since it's creamier than regular. To make the burgers, combine the turkey, zucchini, onion, cilantro and jalapeno pepper* in a bowl until well mixed. 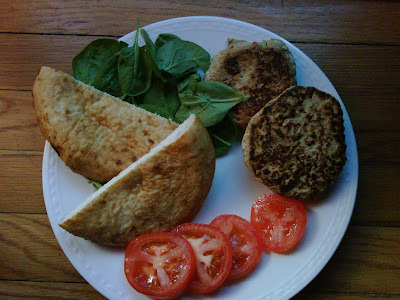 Shape into patties. Heat 1/2 teaspoon of the oil ina large nonstick skillet over medium-high heat. Add the burgers and cook until golden and cooked through (about 12 minutes). Turn them over and add the remaining oil half-way through. Meanwhile, to make the tzatziki ausce, stir together the yogurt, cucumber, garlic, lime zest and juice in a small bowl. Crumble cooked burgers into pieces and stuff inside toasted pita bread along with fresh spinach leaves, tomatoes, cucumbers and tzatziki sauce. * No worries if you don't have a pepper, or if you don't like spicy foods. The first time I made this recipe I forgot to include the jalapeno pepper, so our burgers weren't spicy. However, we LOVED them so much that in all the times I've made this recipe, I've never felt the need to include the pepper.